Imogen's Typewriter. : Celebratory Book Haul! 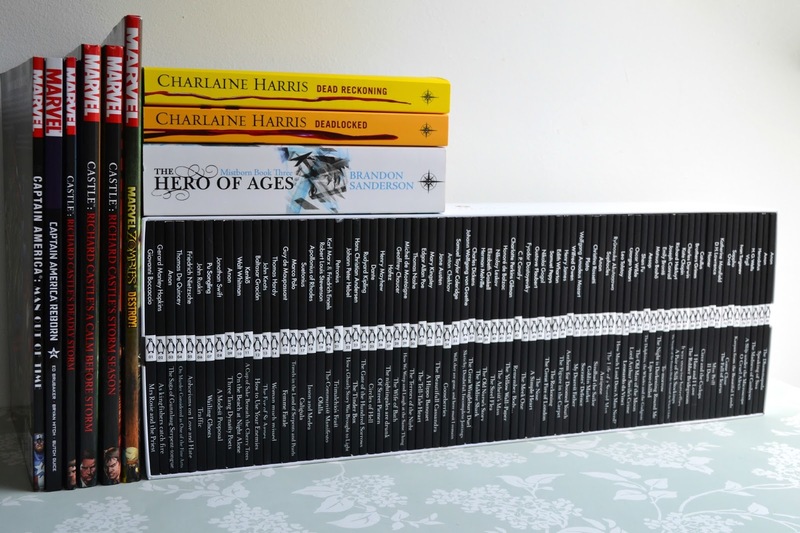 Remember how in August I wrote a blog post where I went over my 2015 reading goals? Remember how I said that I was doing well with my only buying half as many books as I read goal? Remember that post? Well... That post might read a little different if I wrote it today. I finished a module for my degree and what better way to celebrate completing a Creative Writing module than books. I sent in my formal assessment today so I'll be blogging more too! Well- What did I get? 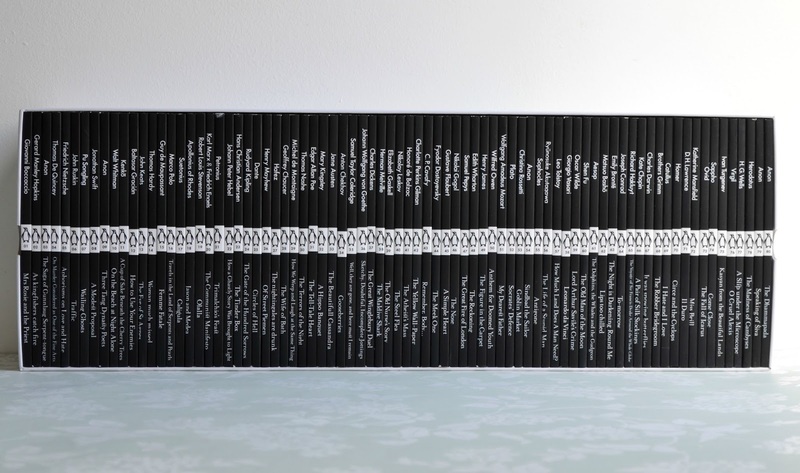 First, the one thing that was a gift rather than something I bought myself, the collection of all 80 Penguin Little Black Classics. I've been wanting these for a while but I'm a massive completist so I waited for a box set, and before I could buy it for myself, my mum got it for me. It's cheaper to get the set then 70 of the 80, if my really poor maths is right. And you can get the box set here! I had a refund on my Waterstones card that just needed to be spent so I took some time online and found four books I wanted to buy. But Imogen! You've only photographed three! The fourth book was sent in a really awful condition, I sent it back, they sent me another also in awful condition, I sent it back. I can't say I'm impressed with the service if I'm honest. Anyway! 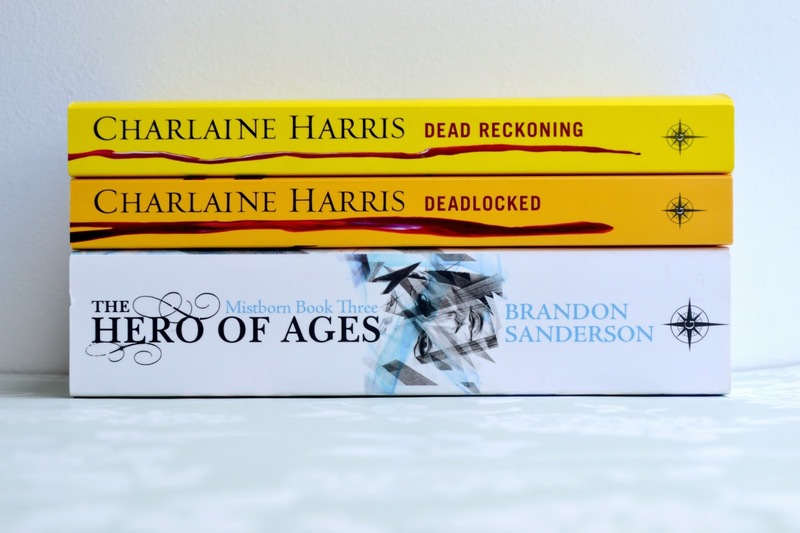 The books I bought that arrived in decent condition were Dead Reckoning and Deadlocked by Charlaine Harris , the 11th and 12th books in the Sookie Stackhouse series that I've been reading for the past year. And The Hero of Ages by Brandon Sanderson , the final book in the Mistborn series. And lastly I made a neat little comic book and graphic novel order. I've been reading more of them this month as I'm in a bit of a reading slump and I'm always looking out to add more Marvel to my collection. So I picked up two Captain America trades: Captain America: Man Out of Time, containing the five issues that cover when Steve Rogers is woken up after 60 years. 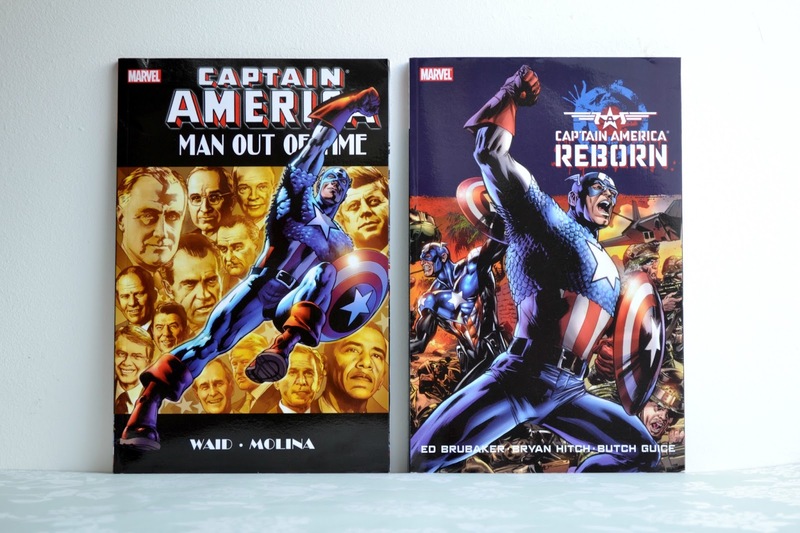 And Captain America: Reborn, which is set way later in the whole confusing time scheme but was too cheap to pass up. I'll get to it eventually. 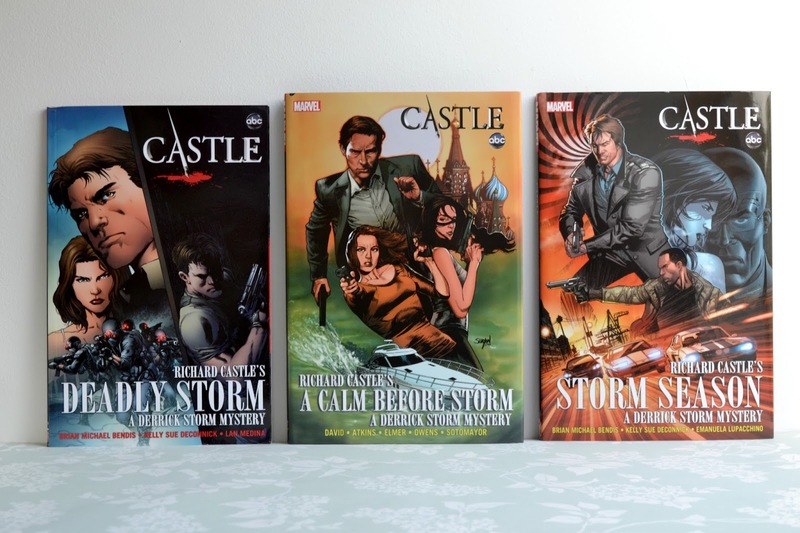 I had always wanted the Castle graphic novels after seeing them on the show and I finally got around to picking all three up on sale. The website was a little confusing so I ended up with Deadly Storm in paperback rather than hardback which is a bummer, but Storm Season and A Calm Before Storm are both hardback and beautiful. I'll just give Deadly Storm to a buddy and re-buy in hardback. 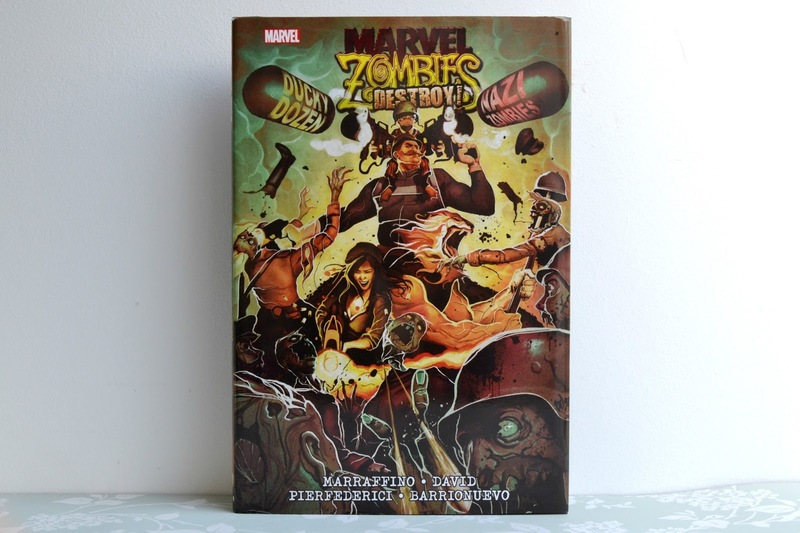 Lastly, I added Marvel Zombies Destroy! because I'm a sucker for anything with zombies in it. It's based in an AU where Nazi zombies are a thing and Dum Dum Dugan with Howard the Duck have to fight them. Pretty crazy and a total last minute purchase but I think it'll be fun. What do you think of my book haul? Have you read any of these?